This weekend was Labor Day weekend I think. I worked all weekend at the museum so it doesn't really matter. I have been redoing the gift shop at the Museum of the Aleutians. I recorded visitor statistics during August, and I have a strategy to increase shop sales. I have a goal to double sales. But I will discuss that later. I made jalapenos stuffed with black bean and cream cheese and carne asada tacos with a home-made guacamole. 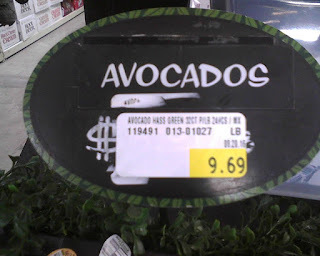 The guacamole was good, but the most expensive thing we ate. I can't believe how much avocados are here. They were basically free in San Diego, but we are not in San Diego any more Toto. My small bowl of guac cost $8 bucks. I might as well had bought it at Chipotle. You can take the boy out of the country, or something like that. Oh, and no movie. I don't have any furniture; let alone a TV.